In this issue, we catch up with a former Carmen Blacker Lecture speaker, Professor Anne Bouchy, Director of Studies at l’École française d’Extrême-Orient in France, on her recent publication, Le vivre ensemble à Sasaguri, une commune de Kyūshū. Dans l’entrelacs des dynamiques du dedans et du dehors – Études d’ethnologie du Japon (Living together in a Kyūshū Town: Sasaguri — The Interweaving of Dynamics between Inside and Outside). Sainsbury Institute (SISJAC): The book is a great culmination of a successful research project between French and Japanese scholars on the pilgrimages that take place in Sasaguri, a town in Fukuoka prefecture. Could you begin by briefly explaining the Sasaguri pilgrimate and what makes Sasauguri particularly unique? Anne Bouchy (AB): Sasaguri is a town which resulted from administrative merger of villages in the last century. The territory has both agricultural and forest parts with inhabitants working in commercial and service industries. It is a small town of 38.9 square kilometres in Kasuya district, in Fukuoka Prefecture with 31,656 inhabitants, situated at 12 km (20 minutes of train) from the city of Fukuoka in Kyūshū. 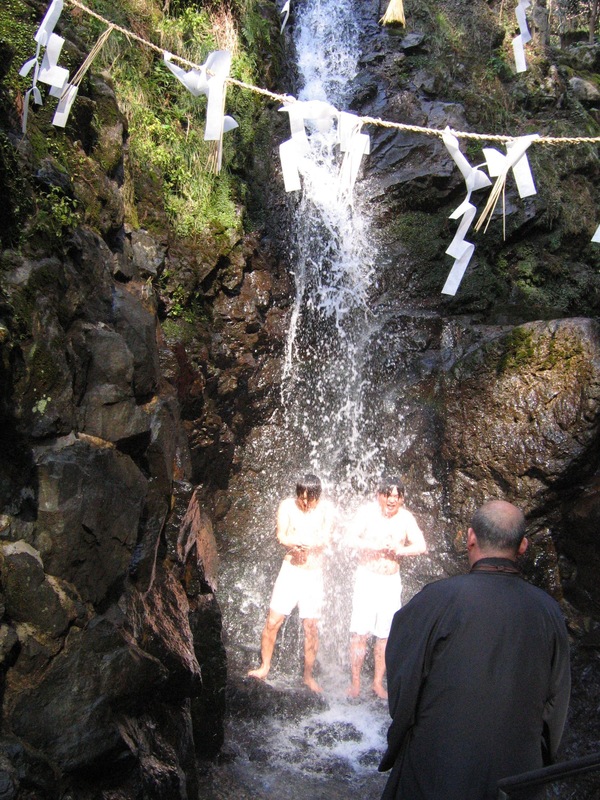 We focused our research on Sasaguri as this is where the social-religious event which took place in the 19th century, called ‘Sasaguri Shin Shikoku Hachijū hakkasho reijō’ (88 pilgrimage sites of new Shikoku), plays a strong role in its current contemporary life. The event itself was the result of a local popular movement in a place densely populated by temples and oratories (more than one hundred). 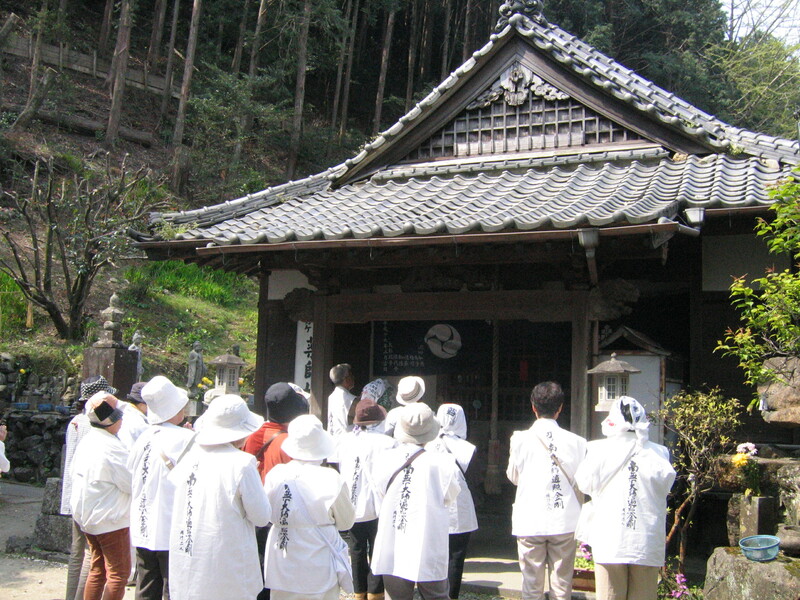 Although there are many replicas of Shikoku pilgrimage sites elsewhere in the country, the Sasaguri pilgrimate circuit attracted many pilgrims, surpassing one million per year until recent years. This pilgrimage circuit includes 88 official stations (fudasho), in the custody of temples, oratories or individuals. 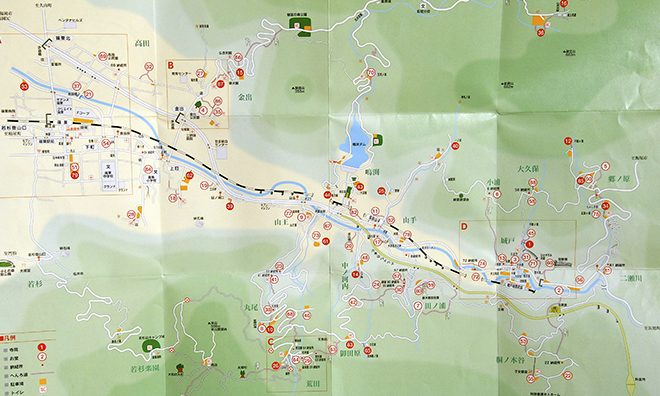 The route is 406 km long, and goes across all the town. One can go through it in two days by car, and three or four days on foot. According to the local tradition, it was initiated by a nun named Jinin who came from outside the area in 1833 with the circuit completing in 1855. To the original 88 pilgrimage stations, more added on from an early date (named ‘out-of-number stations,’ (bangai fudasho) or more simply ‘out-of-numbers,’ (bangai-san), which were looked after by charismatic specialists of the religious practioners (reinō shūkyōsha), commonly referred to as ‘intercessors’ (ogamiya-san) or ‘practitioner of asceticism’ (gyōja-sama). They were responsible for attending to crowds in quest for advice, healing or moral support. 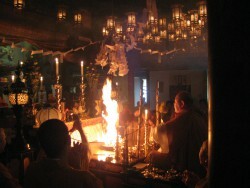 In addition to the original and add-on sites, there are Buddhist temples and Shintō shrines at the centre of the local community making Sasaguri a uniquely rich religious site. In short, Sasaguri drew in crowds locally and from afar, and as a result even to this day the local economy benefits from the flux of people, goods, practices and ideas. For these reasons, Sasaguri can be considered as a paradigmatic case. However, while the area’s prominence has been noted by Japanese researchers, there has been no holistic study on Sasaguri. These were our reasons why we decided to undertake our study team on this town. SISJAC: The book chapters are divided into ethnographical, sociocultural, spiritual and personal themes. What were the driving forces to consider these themes as particularly urgent and contemporary? AB: The fields are those in which all the contributors of the volume specialise. Furthermore, over the last several decades, the areas have seen important changes. By studying this town as the subject of a case study, we wanted to examine the effects of these changes for a robust analysis. The aim of our work is to bring to light the dynamics in Sasaguri and how it served as an ‘imagined community’ inside and outside of the town. We wanted also to analyze Sasaguri’s perception by different groups and the way these perceptions were negotiated between local and external people. Thus, it is an approach which best covers notions of community, group, territory, frontier or limits in the framework of this unique town. By structuring our focus in the mentioned areas allows us to understand what is occurring between various ‘insides’ and ‘outsides,’ in all their meanings. Our research explores to unveil all kinds of entangled interiority and exteriority that are interacting with each other. The two notions of ‘inside’ and ‘outside’ are examined here as complementary, non-exclusive and inseparable categories. It is with this view that the contributors explored Sasaguri. SISJAC: Working across discipline with international groups of scholars open up opportunities to share ideas with multiple perspectives. What are some of the most important issues raised and discussed through the international collaboration? AB: The methodologies and approaches of our French-Japanese team are rooted in the current debates in both Japanese and international scientific research. These methodologies are employed in the fields of ethnology of Japan as well as in anthropology of religion or society, history, or also in the field of the history of women and the construction of socio-sexual identities, study on pilgrimage or Shugendō, and the complex relation with and in regard to the environment. This is why we undertook our study in the socio-economical history of Sasaguri’s local groups as well as the life and modern transformation of Buddhist temples; the role and place of women in the customary cult and various Buddhist structures; the Shintō-Buddhist system before, during, and after the Meiji period; specialists of oracular rites and their clients and disciples; the annual rituals of houses and neighbourhood; the multiple interactions of pilgrimage and pilgrims; the management of mountains and woods, the ‘commons’ and local communities; Sasaguri’s carbon mines and their exploitation and the presence of women; the Shugen and the diffusion of local, regional or national cults; interiority of individuals and its relationship with other various religious groups, etc. As a result, the volume offers a precise overview of both social and religious realities of our time in Sasaguri, and propose a reflection on some of the important questions that are raised today both in Japanese society and are object of discussion in the international world. SISJAC: As an editor, what was the motivation to continue developing the project for nearly a decade, and now that the book is out, what is your main message to the readers? AB: The original research project took place as a result of other collaborative projects, which many of the contributors have participated in. The decisive moment came at one of our meetings at the end of these projects, when the will of continuing our collaborative work was expressed by the ethnologists who were present. At the same time, our collaborators wished for a collective ethnological work on a common theme in which their respective interests could be federated. Thus, the core of a new team was formed in 2000, in which Japanese and French researchers gathered in search of a possible field where our work would be conducted, and also a new theme in which our interests could be federated. Among our main purposes that we established in the beginning, was that of sharing our fieldwork methodologies, and current issues in Japan, as well as in France, in the field of ethnology and social and historical anthropology. From the beginning, the publication of a collective volume was included in our project. We thought that this publication should come to fill a gap, that of an ethnographical approach by a collaborative team of Japanese and French researchers, on contemporary realities of a local community, but this publication should not be a simple monograph. After preliminary consultations which lasted from 2002 until 2003, our project was finally accepted in 2004 as a research program of EFEO with the title of ‘Between Inside and Outside: Socio-cultural dynamics in Japan,’ first for the period of 2004 to 2008, and after that, for the period of 2008 to 2012. (2013), Kyoto, 2015, EFEO, 650 p.